As a business center and office space provider in Bangalore, we provide all kinds of business support services for our new and growing startups and MSME units. 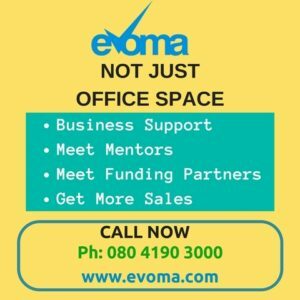 One of these support services is to advise and guide startup founders and business owners about how to raise angel and VC funding. Not all startups are eligible for government funding, but if you are, then it may help accelerate your growth a lot faster than the competition. Listed below are the various Govt. of Karnataka venture capital funding opportunities available for startups and SMEs located in Bangalore and other cities in Karnataka. They’re all broadly covered under the Karnataka Information Technology Venture Capital Fund (KITVEN Fund). Look at all the schemes, the eligibility criteria, application forms and procedures. 1. Idea2PoC Fund – Proof of concept VC funding for tech startups. Idea2PoC Fund is a VC fund launched by the Dept. of IT, BT and S&T, Govt. of Karnataka to enable entrepreneurs and innovators to validate Proof of Concept for their idea. The goal is to help the applicant reach the commercialization stage faster by launching a startup or getting their startup venture-ready, and secure the necessary technology licenses. Idea2PoC will provide funding to individuals, startups (as defined by the state’s startup policy), and partner organisations such as reputed incubators that are promoting innovation and entrepreneurship. You can apply for up to Rs.50 lakhs, which will be provided as grant-in-aid over a 2-year period, subject to achievement of agreed-upon milestones. See the full guidelines and eligibility criteria for Idea2PoC Fund. How to apply: Click here to fill up and submit the pre-registration form. Wait for the Idea2PoC Call for Proposal (issued twice a year in leading newspapers and dailies) from the Bangalore Bioinnovation Centre. Once you have the call to proposal, download and fill up the application form. 2. Karnataka Semiconductor Venture Capital Fund (KARSEMVEN Fund). This is a Rs.100 crore VC fund for semiconductor startups and business units in related electronics and embedded systems. 3. KITVEN 3 Fund for biotech startups. This is a Rs. 50 crore VC fund for startups in the biotech, life sciences and other related sectors. If you are interested in applying for VC funding through the KARSEMVEN Fund or KITVEN 3 Fund, put together an executive summary and email it to info@kitven.com. The summary should be no more than 4-5 pages long, and should include your company profile, your technology and/or product information, your target market and opportunities that you are focusing on in this market, your financials (extracts of balance sheet, profit & loss, and previous years’ summaries), and your funding requirements.